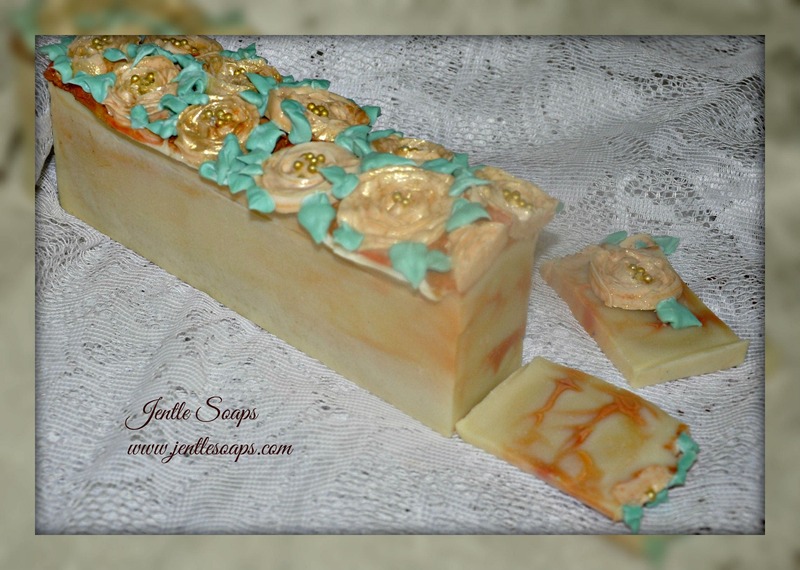 This beautiful Artisan soap smells absolutely divine. Orange and peaches combine to create a heavenly scent for the bath. 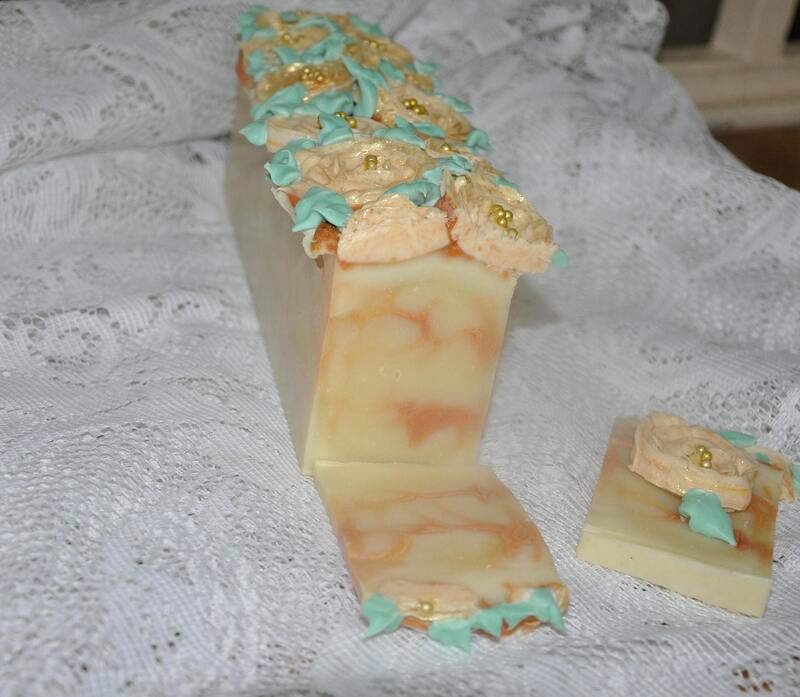 Okanangan Peach Rose Ribbon Soap was inspired by my sister Rachael who made ribbon rose hair pieces for each of the sisters of the groom for my brother Charles wedding. It was a beautiful event and these roses look a lot like her lovely work. Peaches in the Okanagan Valley are famous across Canada. Nestled in an orchard region people come from far and wide to collect their fresh fruit produce every year. Farmers offer sweet collections of the fruit of their labors and consumers buy up the bounty. 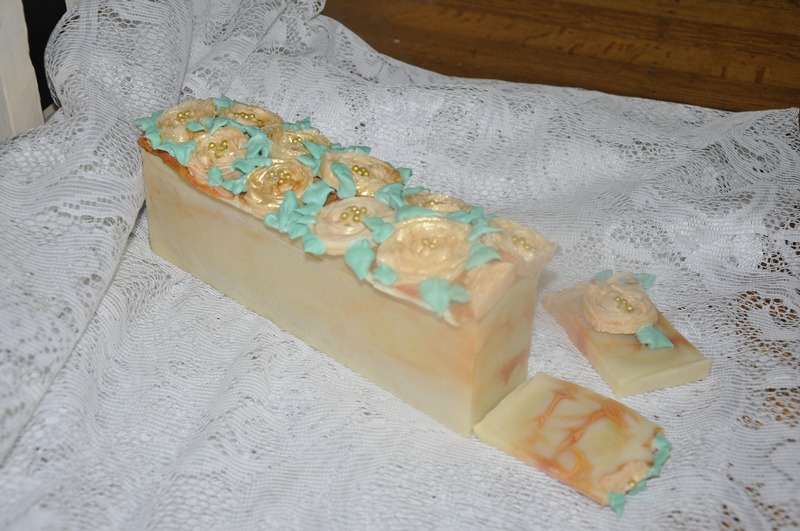 This soap is inspired by those lovely fuzzy peach treasures that come from this region in Canada. 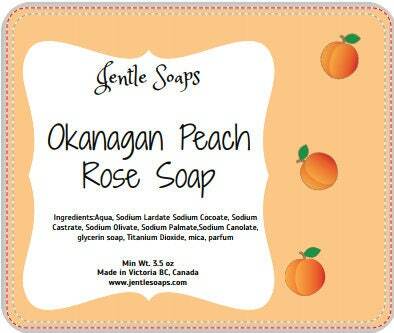 The Okanagan Peach Rose Ribbon Soap is a smaller more compact bar with a lush peachy orange fragrance. I love the combination and it will appear again in my repertoire of artisan soap. 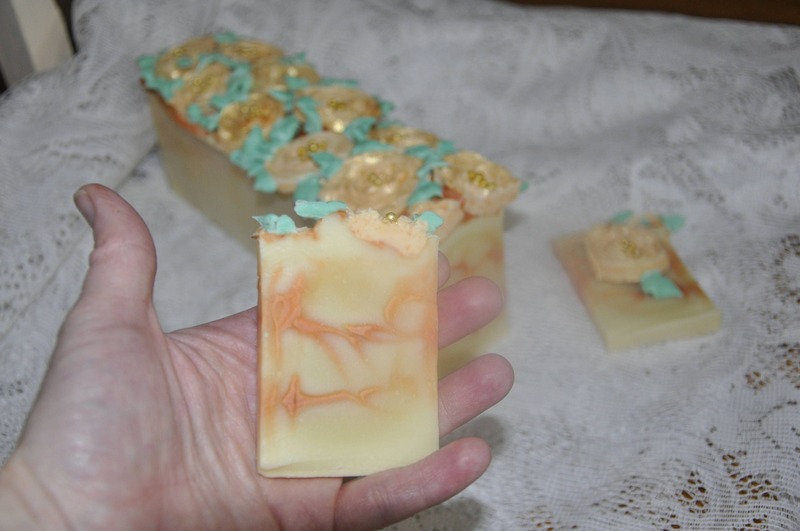 Another one of a kind soap so get them while they are available.